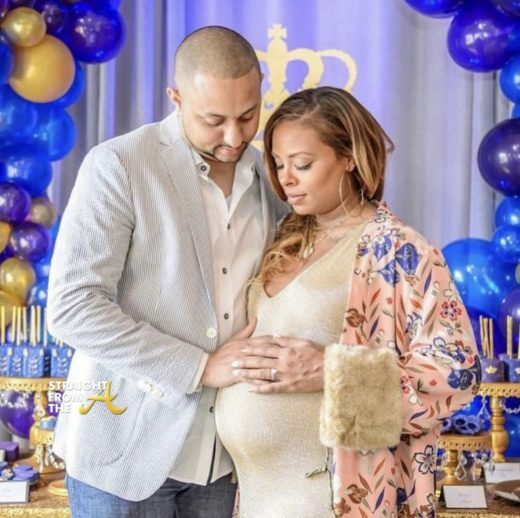 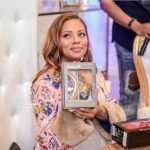 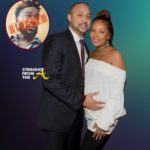 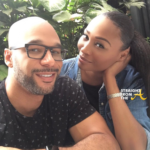 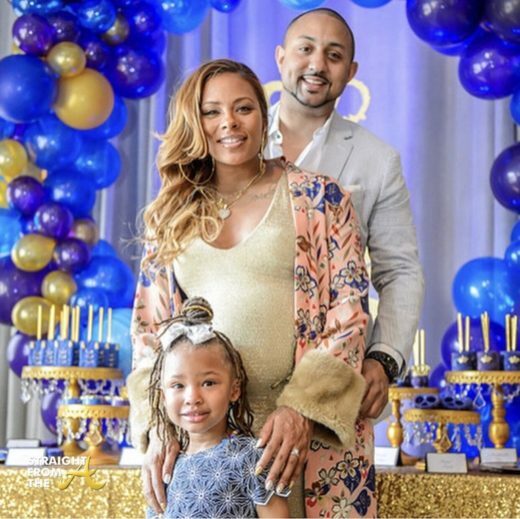 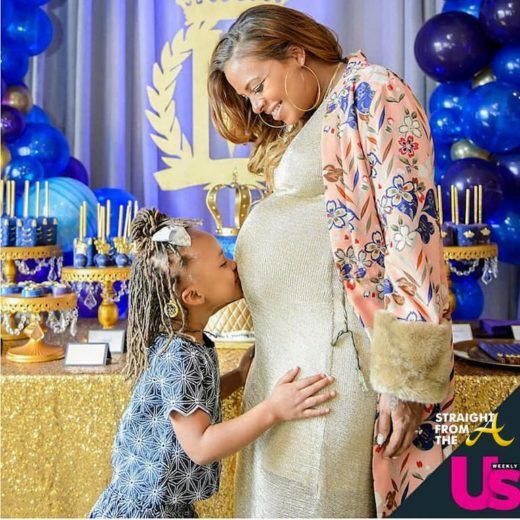 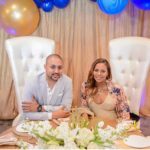 Eva Marcille of The Real Housewives of Atlanta strikes a pose with her fiancè Michael Sterling during the baby shower for her upcoming arrival. 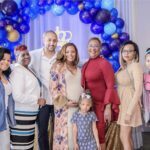 As previously reported, the couple are excitedly expecting the arrival of their new baby boy and their family and friends joined them for a “Prince Michael” themed baby shower. 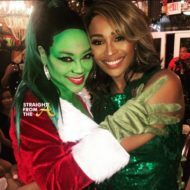 The 33-year-old supermodel held the lavish baby shower on Saturday, March 17th and she shared several photos exclusively with US Weekly. 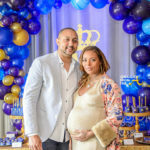 Marcille’s longtime pal, Andrae Crenshaw from Drae Shaw Entertainment, hosted the bash at 433 Bishop in Atlanta, Georgia and the event was planned by ellyB Events / Eliana Baucicault. 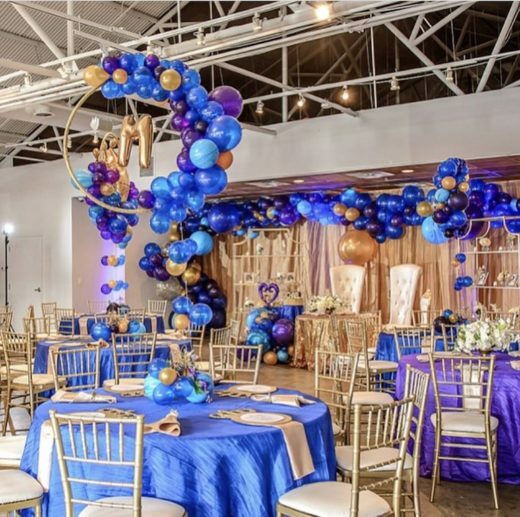 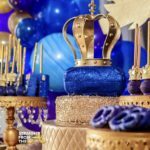 “I did royal blue, purple and gold color scheme to bring in that Royal feeling,” she told Us of the decorations. 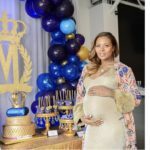 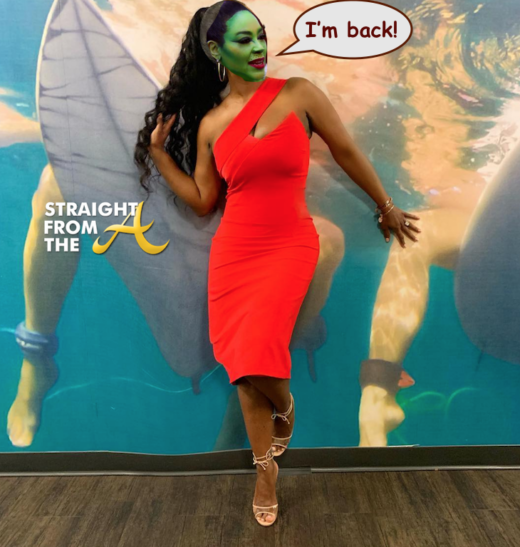 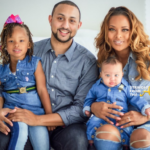 Marcille, who announced her pregnancy in a sweet Instagram post back in November 2017, also shares a 3-year-old daughter, Marley Rae, with her ex-boyfriend Kevin McCall. 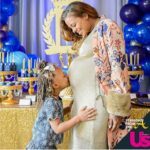 Eva and Marley Rae share a moment.